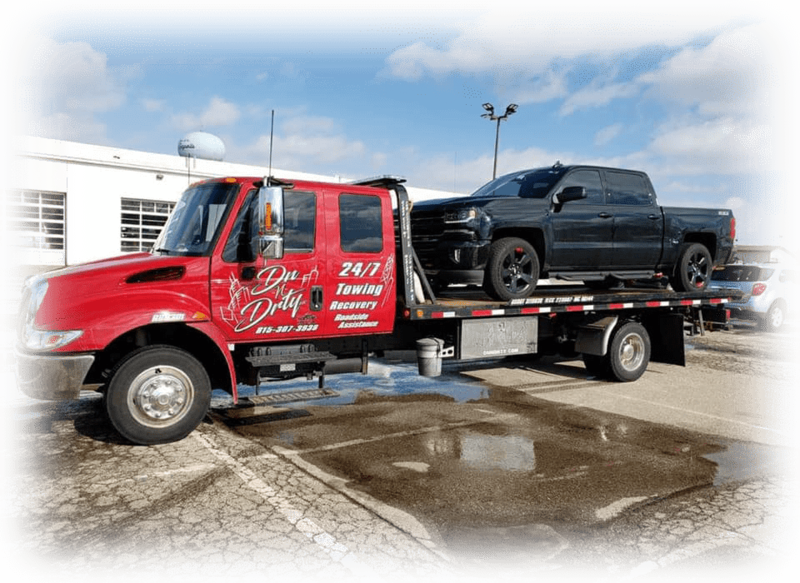 At Dn N Drty we have a Light Duty fleet, which means we maintain a diversified fleet of flatbed and self-loading tow trucks equipped with the latest in GPS technology to ensure the quickest response times. This allows the team at Dn N Drty to dispatch the closest and best suited truck for the job, while also tracking the exact location of your precious cargo. The Dn N Drty fleet of light duty trucks are available 24 hours a day, 7 days a week, 365 days a year to handle all of your towing needs. Having the right equipment ensures that your vehicle is transported and delivered with care. At Dn N Drty, we recognize the critical role of a towing service provider. We strive for efficient and timely response to your needs and recognize the critical importance to all parties involved. Our proven record of on-time response for towing customers demonstrates our commitment to providing speedy and efficient responses. If you have broken down or are in an automobile accident, we’ll pick you and your vehicle up from the side of the road, parking lot or your driveway.